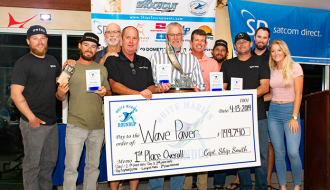 Maximo Marina continues to be the largest covered boat slip marina in Florida, boasting covered wet slips for vessels up to 100 feet in length. 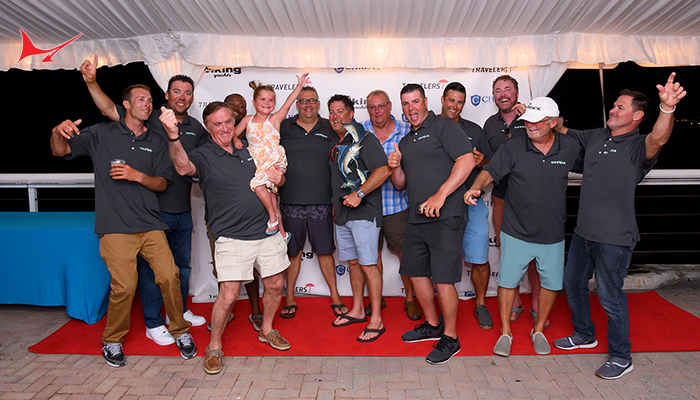 October 6th, 2018 – Fort Lauderdale, Fla. – IGY Marinas, announced today the $25 million renovation at Maximo Marina in St. Petersburg, Florida is complete. IGY has overseen all aspects of design, redevelopment and operations of the marina since 2015, on behalf of the owner, Bixby Bridge Capital, a private real estate investor and lender. The marina was completely redeveloped over the last 18 months, with ORION Construction serving as the general contractor for the project. The marina continues to be the largest covered boat slip marina in Florida, boasting covered wet slips for vessels up to 100 feet in length. “This was a complex project from a design, permitting and execution standpoint. 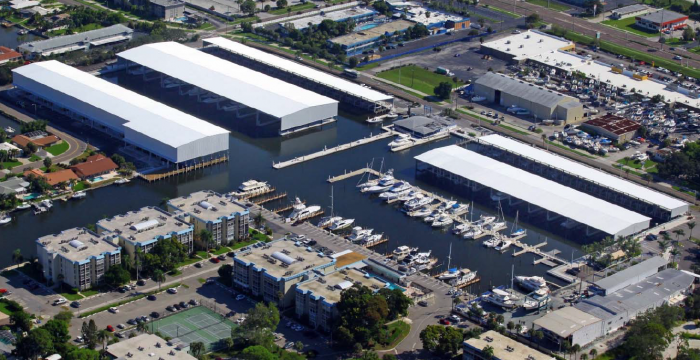 The marina was over 50 years old and IGY took great care to ensure that this marina was redesigned to be responsive to the market and the evolving sizes of vessels both for today and for the next 50 years. IGY worked with us to ensure that all the critical customer touchpoints were addressed and that the uniqueness of the marina was maintained, all while making sound cost-benefit recommendations. 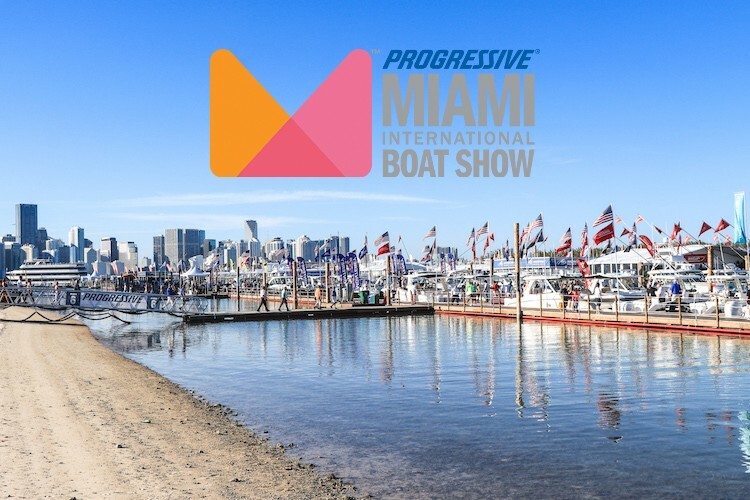 IGY was able to institute a phasing plan that allowed a portion of the marina to stay open throughout construction which was very important to our customers. We are very pleased that IGY and ORION were able to deliver this project on time and under budget,” said Steven Fass, a principal at Bixby. Maximo Marina’s transformation now provides world-class amenities such as floating concrete docks, state of the art fuel dock, covered slips for vessels up to 100 feet, boat lifts for vessels up to 36 feet (24K lbs. 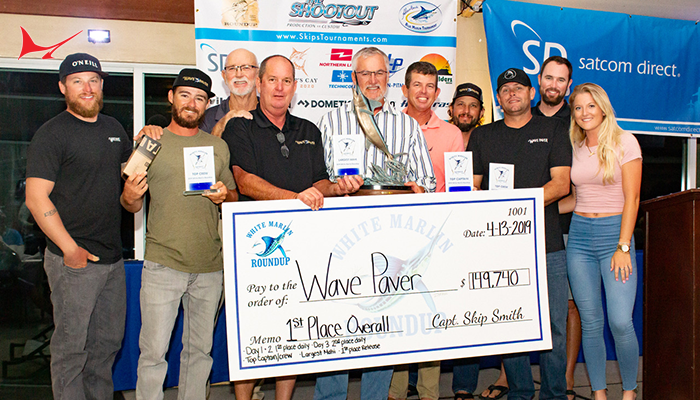 ), complimentary Wi-Fi on gigabit enabled fiber network around the marina basin, renovated support facilities, and the opening of Getaway Maximo Restaurant (the largest restaurant opening in south St. Petersburg in more than a decade). With all major phases of construction complete, Maximo Marina has the ability to welcome more than 200 vessels in wet slips, 142, of which, are covered and 58 equipped with boat lifts. The facility can also accommodate an additional 88 vessels within inside storage racks and another 200 vessels in outside dry storage racks. The covered boat lift slips are a product offering that enhances our existing dry stack marina product because customers can use their boats on their own schedules, independent of the lift-well hours of operation, while still having a protecting environment for the boat. “It’s a very unique product,” says general manager Lee Hicks. 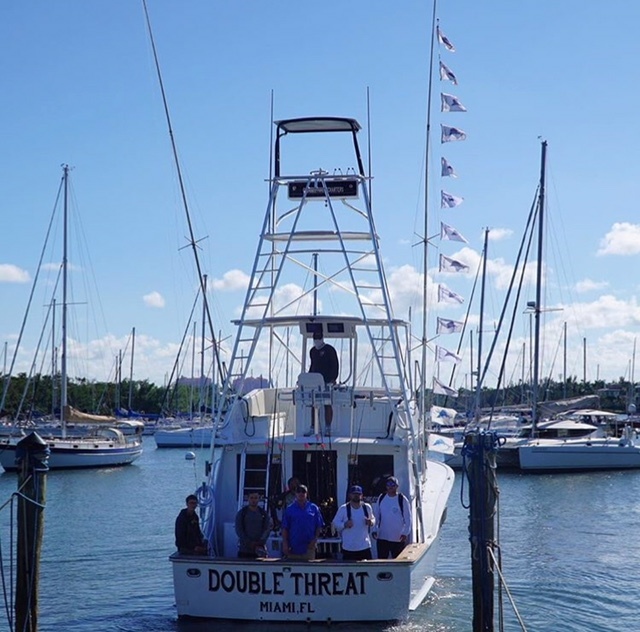 Maximo Marina also features a full-service facility offering haul outs for vessels up to 50 tons giving it the ability to service any and all boats in the marina. IGY Marinas is well known in the industry as a leading marina operator. A lesser known fact is that IGY Marinas also features an in-house development and construction services team that has undertaken marina projects all over the world. This combination of development and operating experience positions IGY Marinas at the leading edge of the marina management industry. “We are pleased to have the opportunity to work with Bixby and provide third-party development and operational management services on this very unique project. 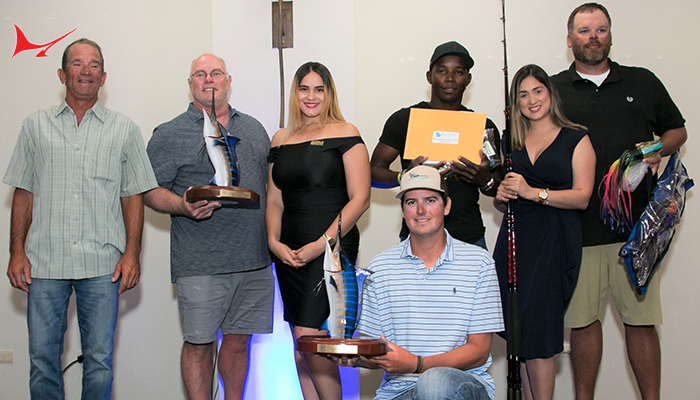 Boaters are seeking innovative marina amenities and services combined with added-value destination offerings and we were pleased that the marina owners called on us to help them achieve their goal,” said Tom Mukamal, CEO of IGY Marinas. The Maximo Marina redevelopment is a critical component to the revitalization of the Skyway Marina District, one of five special commercial districts in the City of St. Petersburg – the marina is open with plans to participate in the block party celebrating the fifth anniversary of the Skyway Marina District on October 6th . 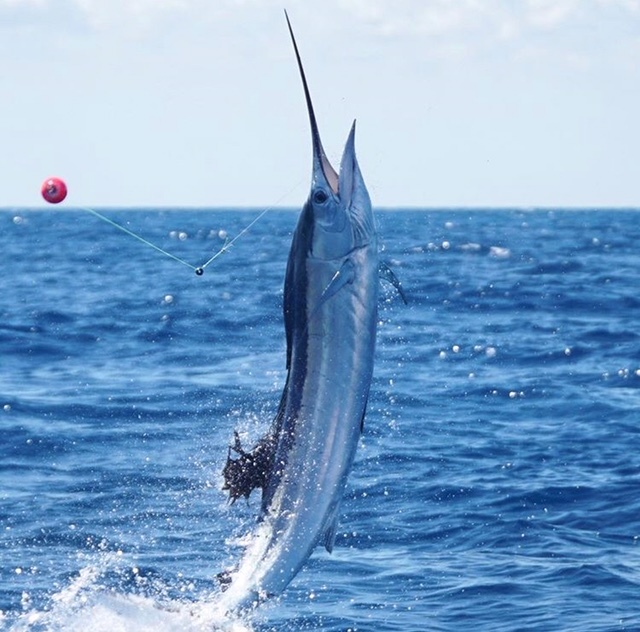 NEW BERN, N.C. – JUNE 12, 2018 – Hatteras/Cabo Yachts LLC (“Hatteras Yachts”), a world leader in the construction of convertible sportfishing and luxury motor yachts from 45 to 105 feet, announces a partnership with sportfishing couple Chris and Laura Jessen, world-renowned anglers and owners of Fish Tank Sportfishing. 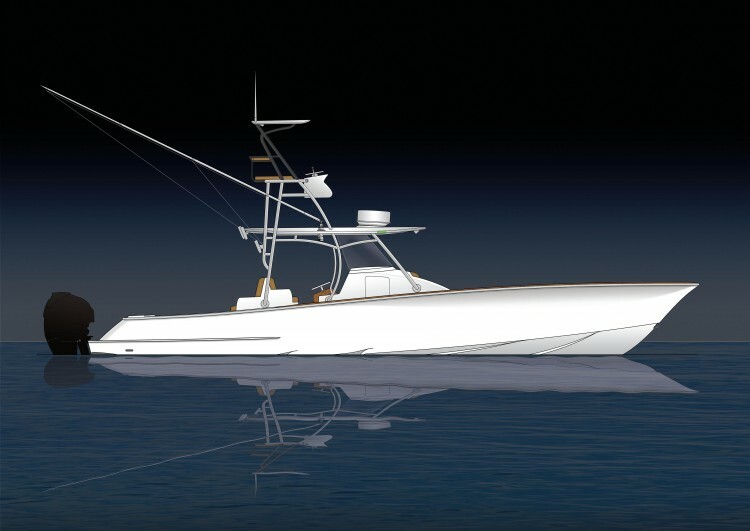 Along with their captain, Ben Horning, the Jessens will collaborate with Hatteras to design a next-generation sportfishing yacht. The partnership officially begins today. 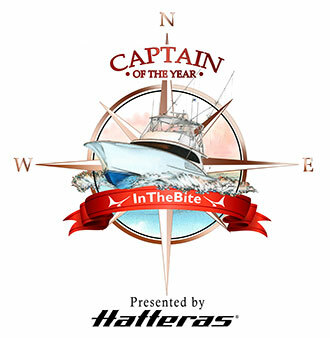 In the coming months, Hatteras will work closely with the Jessens and Captain Horning to design the new boat. 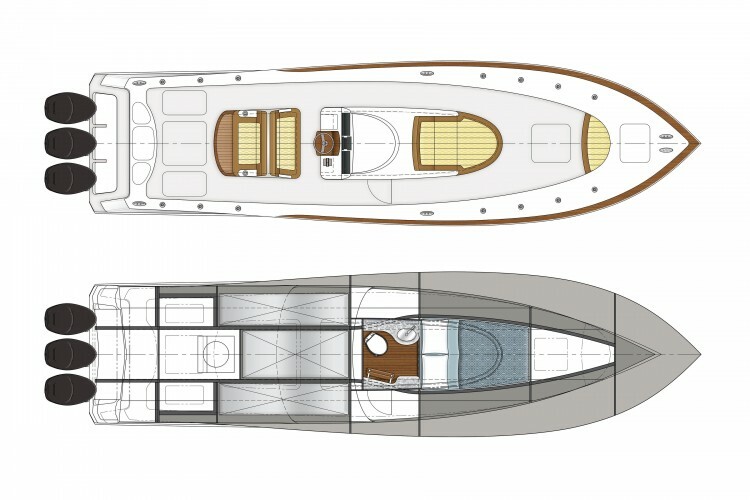 Caterpillar Marine will also be a key partner in the building of this new sportfishing yacht. 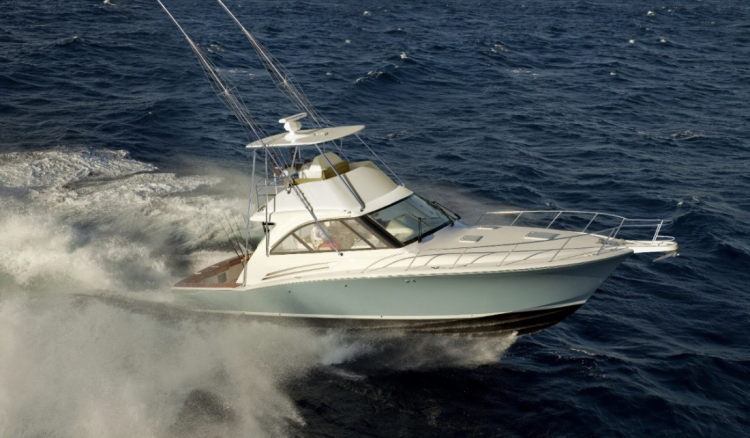 For more information on Hatteras sportfish yachts, visit www.hatterasyachts.com/sportfish. 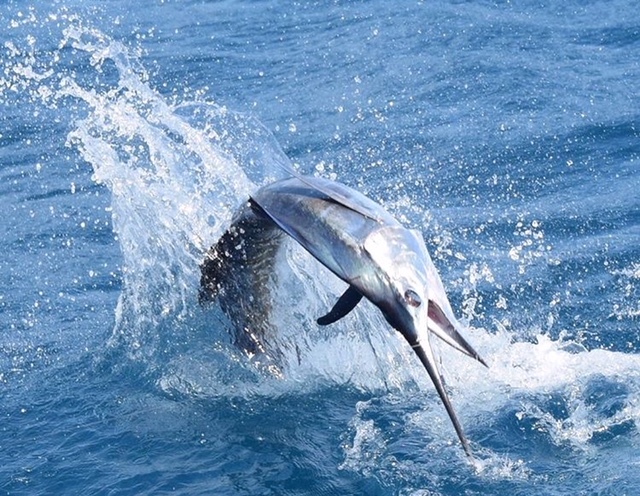 Follow @hatterasyachtsnc and @fishtanksportfishing on Instagram for regular updates on the partnership between Hatteras and Fish Tank Sportfishing. 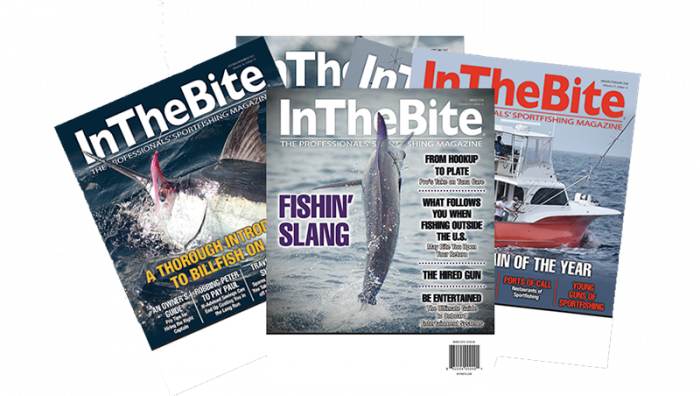 Order our latest issue or Subscribe to InTheBite Magazine today! 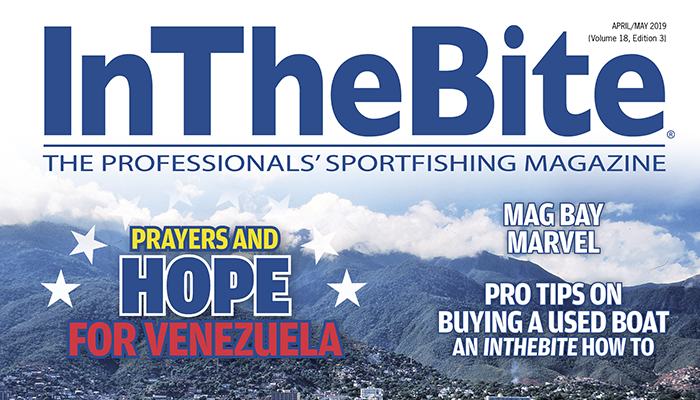 What is InTheBite Magazine? 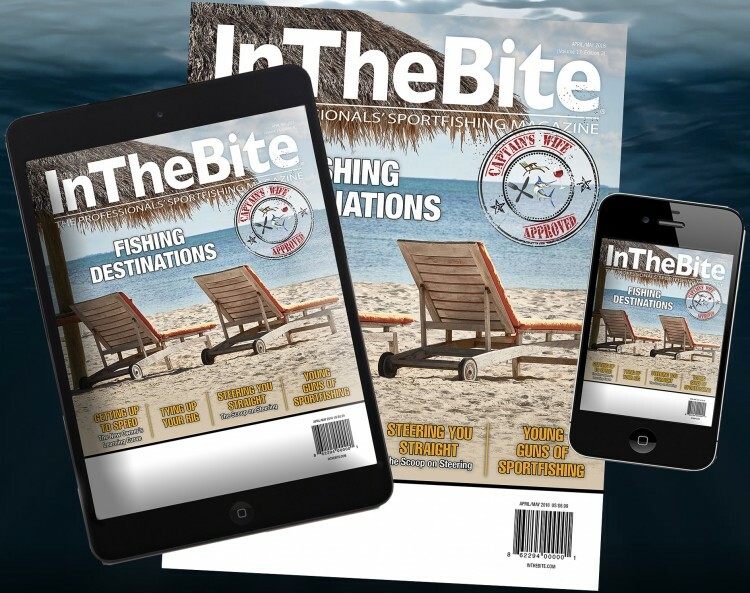 The best content in sportfishing. 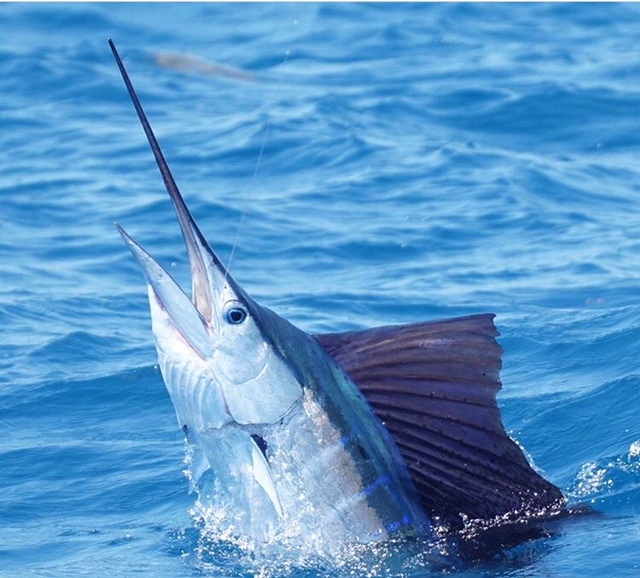 Serious content for serious fishermen. Subscribe today. 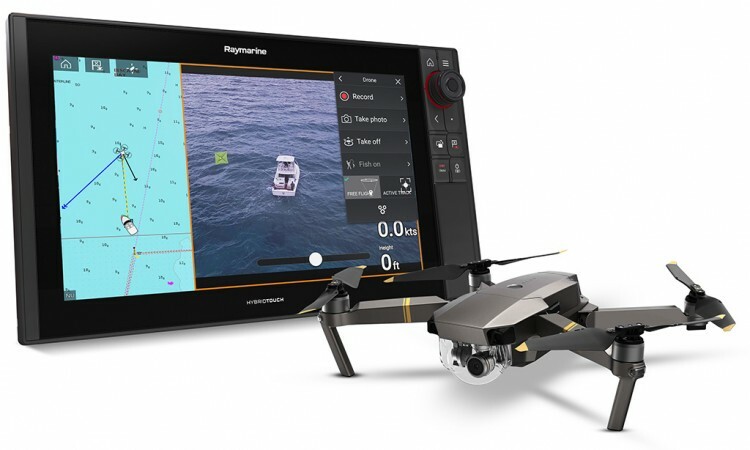 This new technology allows boaters to connect to their UAV, where they can control and view images directly from the Axiom display. 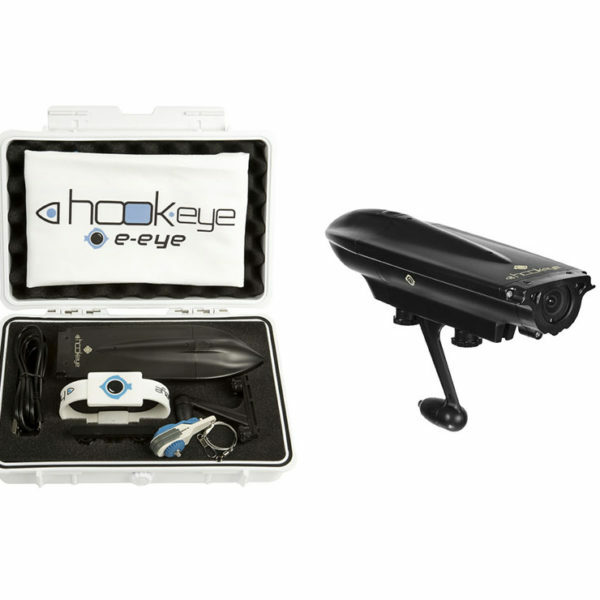 The unique features of the UAV integration now brings a hands-free, aerial view to the water, creating innovative video possibilities for anglers and boaters. 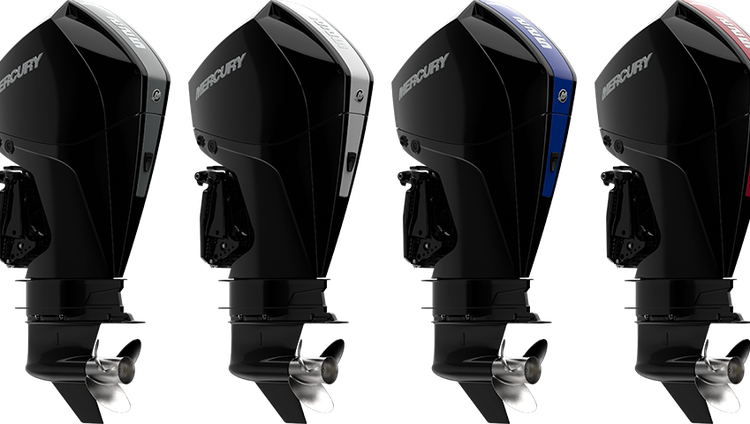 The new Mercury FourStroke and SeaPro outboards are constructed on Mercury’s new 3.4-liter V-6 platform. They’re built to be powerful, light, compact and fuel-efficient. 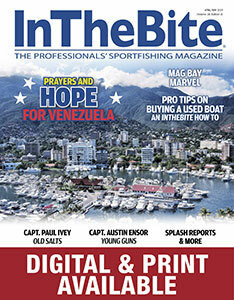 The new engine group features 175hp, 200hp and 225hp FourStroke outboards and a V-6 200hp SeaPro commercial outboard. 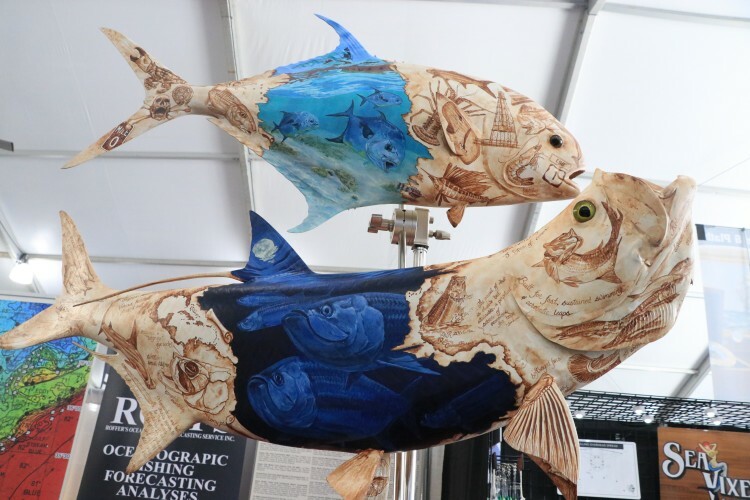 Native Florida Marine Artist, Kelly Reark, showcased her hand-painted fiberglass fish mounts. 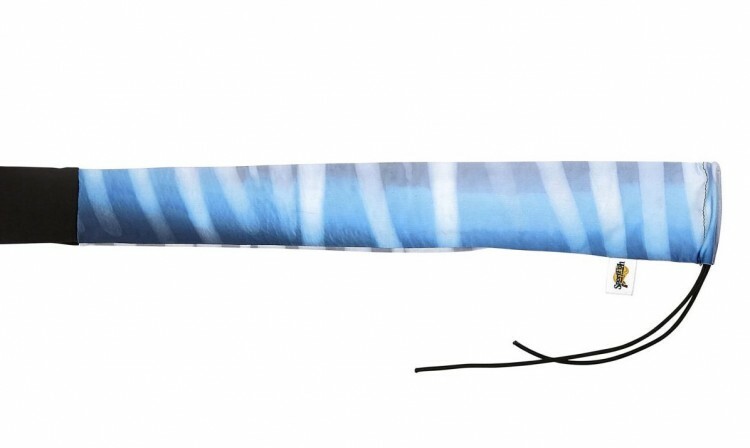 These “tattooed” pieces feature detailed work of wildlife and landmarks. Each mount is a one-of-a-kind design, delicately crafted in sepia tones and timeless Floridian style. 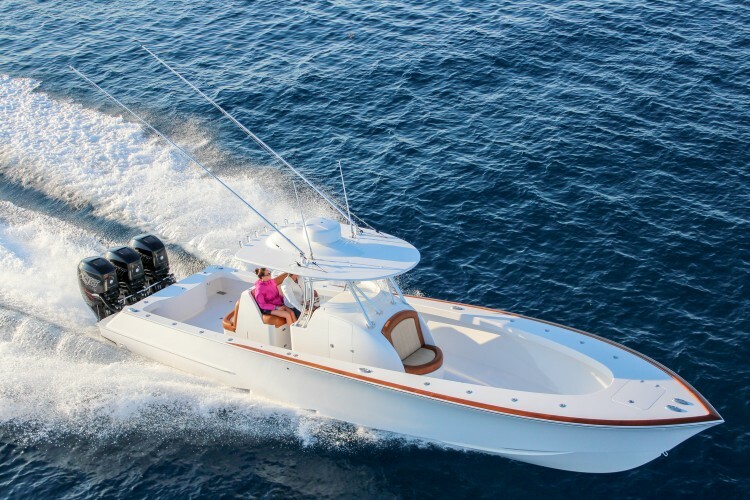 The new boat features a state-of-the-art upper helm, full tower, battle-ready outriggers and top-end speed in the mid-40s. It’s quality specs include next-generation electronics, vast storage, and a relaxing and spacious cabin/galley. High quality, custom made rod & reel covers that will protect your fishing equipment from the elements. 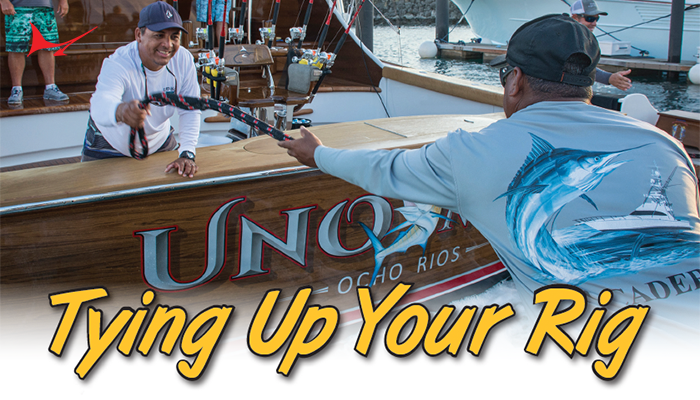 Original designs are styled for every type of angler, from freshwater to saltwater. The Tribute 37’ features a state of the art design. The video showcases an in-depth look at the cutting edge step-hull bottom, offering unparalleled sophistication in looks and ride. Pristine engineering and design of the Tribute 37′ step-hull bottom.